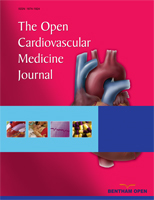 We present a 15-year follow-up of patients with Cardiac Myxoma (CM) who underwent tumour resection. Between 2001 and 2016, 38 patients with CM were operated on. We retrospectively reviewed, their clinical presentations. We also analysed the echocardiographic, electrocardiographic and pathology reports. No mortality was seen after surgery. The mean age of the patients was 41.7±7.8 years and the female/male ratio was 22/16. Two patients with CM were children. The main symptoms of left atrial CM were dyspnoea on exertion, chest pain and congestive heart failure. Tricuspid valve pathology, and leg oedema were the main symptoms in patients with right atrial CM combined with right heart failure. CM as a cause of nephrotic syndrome was detected in 2 patients. In 5 asymptomatic patients (13.1%), CM was detected incidentally. We detected a pericardial invasion by the tumour in 1 patient. We performed secondary surgery because of tumour recurrence in 2 patients. Overall, survival for patients after surgical excision was 96.4±1.6% at 1 year, 91.7±2.4% at 5 years, 87.6±2.6% at 10 years and 85±1.9% at 15 years. The symptoms of CM may include congestive heart failure or nephrotic syndrome. Because CM may be associated with serious cardiac symptoms, tumour excision should be performed immediately after diagnosis. The use of right anterior thoracotomy for CM resection is a safe surgical approach. Keywords: Cardiac myxoma, Echocardiography, Surgery, Pathologic classification, Cardiac tumour, Heart failure. © 2019 Duman et al.